Credit cards can be loaded and assigned to groups for faster payment processing. 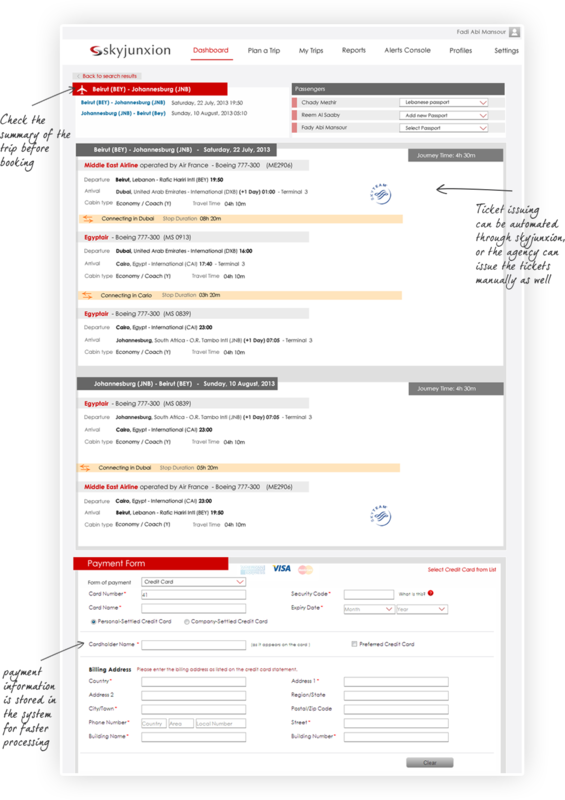 Ticket issuing can be automated through Skyjunxion, or the agency can issue the tickets manually as well. Travel agents get their own dashboard with flights that require ticketing, so there’s no need for a phone call to finish the trip booking.